Sparkling white snowdrifts, beautiful presents wrapped in ribbons, and multicolored lights glittering in the night through the falling snow. A Christmas Eve snowstorm transforms one small town into a romantic haven, the kind you see only in movies. Well, kinda. After all, a cold and wet hike from a stranded train through the middle of nowhere would not normally end with a delicious kiss from a charming stranger. And no one would think that a trip to the Waffle House through four feet of snow would lead to love with an old friend. Or that the way back to true love begins with a painfully early morning shift at Starbucks. Thanks to three of today’s bestselling teen authors—John Green, Maureen Johnson, and Lauren Myracle—the magic of the holidays shines on these hilarious and charming interconnected tales of love, romance, and breathtaking kisses. ‘Tis the season for fun Holiday reads! I meant to read Let it Snow last winter but unfortunately never got a chance. So when December approached this time around, I just knew this would be a must read! 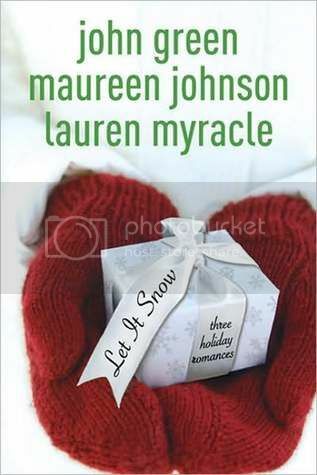 Let it Snow is made up of three short stories by three authors – John Green, Maureen Johnson, and Lauren Myracle. Where I have read a couple books from John Green previously, this was my first delve into the writing from the other two authors. What was a pleasant surprise to me was that the three stories were connected. I’m not sure why I didn’t realize this beforehand but it was nice to see how the stories and characters overlapped from one to another. The writing flowed well from each story. Each character had it’s own voice and if I didn’t know it, I honestly would have thought this was written by one person. The authors worked very well together. All three stories center around a record-breaking snowstorm that hits on Christmas Eve. The Jubliee Express (Maureen Johnson) introduces us to the storm as our main character, Jubilee, sets aboard a train to her grandparents’ home as her Christmas plans suddenly fall through. The train breaks downs so Jubilee decides to set off to a Waffle House for food and shelter. She meets a boy, Stuart, who helps her and cuteness and hilarity ensues. I think of the three, this was my favorite. Maybe because I felt the most romantic connection between the two. And Stuart was a complete sweetheart. I was so sad when their story ended! I wouldn’t have minded a lot more of their story. A Cheertastic Christmas Miracle (John Green) introduces us to a whole new set of friends who are making their way to the exact same Waffle House for reasons that, honestly, seemed a little ridiculous to me during a snowstorm, cheerleaders. I probably laughed the hardest during this one. All the stories had quite a bit of ‘way out there’ factors but this one probably took the cake in that department. It did it’s job though, it entertained me because I had no idea what would happen next. And finally we have our conclusion, The Patron Saint of Pigs (Lauren Myracle). This is where things start to come full circle as we meet Addie who is upset over a breakup with her boyfriend who we just so happened to meet in the first story. She is desperate to reach him and get him back but she has to go through a few changes within herself first. I found that to be the overall theme in this particular story, Addie trying to change and be more selfless. But honestly, I didn’t quite get a hold on what everyone’s hang up was with her because I didn’t get to see it myself in such a short period of time so it fell a little flat for me in places. I love how it ended though! Overall, I thought this was a fun read. The end left me smiling when all of our characters came together, full circle. Hilarity was a strong point which to me overshadowed the romance. Don’t get me wrong, there are little romances blossoming but we just scratch the surface an itty bitty bit with each. I know that was the point but I couldn’t help but want more. And while I am okay with unrealistic circumstances at times, this one seemed to be a little too out there for what I usually like in a contemp. I feel like this is a usual theme in YA Holiday reads that I’ve found. Sometimes it works for me (I absolutely loved Dash & Lily’s Book of Dares) and sometimes it doesn’t completely. I’d still recommend this read for anyone who is looking for something light and fun at this time of year, as long as you don’t mind it being a little silly. In 2007, John and his brother Hank were the hosts of a popular internet blog, “Brotherhood 2.0,” where they discussed their lives, books and current events every day for a year except for weekends and holidays. They still keep a video blog, now called “The Vlog Brothers,” which can be found on the Nerdfighters website. Lauren Myracle is the author of numerous young adult novels. She was born in 1969 in North Carolina. Lauren Myracle holds an MA in English from Colorado State University and an MFA in Writing for Children and Young Adults from Vermont College. she has written many novels, including the famous IM books, ttyl, ttfn, and l8r, g8r. Her first novel, Kissing Kate, was selected as one of ALA’s “Best Books for Young Adults” for the year 2004. It was named by Booklist as one of the “Top Ten Youth Romances” of the year, as well as one of the “Top Ten Books by New Writers.” Her middle-grade novel, Eleven, came out 2004, followed by its YA sequels (Twelve, Thirteen, Thirteen Plus One) . Maureen knew from an early age she wanted to be a writer. She went to high school at an all-girls’ Catholic school and graduated from University of Delaware with a degree in writing. She now lives and writes in New York City. 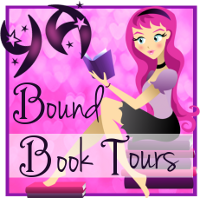 Many of the adventures Maureen’s characters face in her books are based on real-life stories. Maureen has traveled all over Europe, and is a Secret Sister to vlog brothers Hank and John Green. My fondness for the story lies on the same order as yours, as well as the unrealistic feel of it. I still loved the trilogy or whatever it’s called because it made me happy. And that’s why I read. Yeah that’s why I still enjoyed it overall because it did make me smile. Although I also found myself skimming a bit at times too, wanting to rush through it. I still haven’t gotten around to this one yet, but I think I will need some more YA laughter in my life asap so I’m excited to give this one a try. I’ve never been a fan of novellas that much, but since they all connect, this might be better 🙂 Great review(s?) Sara! I read this one last year and enjoyed it. I liked that all 3 stories were connected. You said it perfectly with ‘light and fun’. I meant to read this last year AND this year… I’m a failure =( It’s interesting that the authors work meshed together so well it could pass as one author. I’ll read it eventually, I’m sure! I need to get around this book Sara, I heard so many great things about, its definitely one of those book you need to pick up to find out for yourself. And John Green! Yes Yes Yes! Thanks for your honest review. I have this on my wishlist. I keep seeing this at our book store in the mall. I love John Green and that along would make me get it, but I was just worried it would make me cry. ha ha! A lot of his work tends to do that to me. I love and hate him for it. I really want to read this one, sounds brilliant and fun! Lovely review, Sara! I love funny and cute contemporaries, especially during Christmas, since they give me a warm and fuzzy feeling inside! 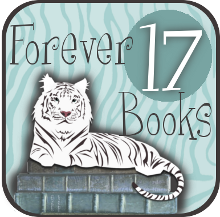 Sel recently posted…Winter Buzz: My Love-Hate Relationship With This Blog, BookFest@Singapore etc. I haven’t read Christmas books in a while, but I really feel like it this year 😀 This book is definitely on my list, so thanks for sharing your thoughts! Mel@thedailyprophecy recently posted…Life of a blogger: Career. I loved the first two stories, not so much the last one but I skimmed it. I don’t read many holiday themed stories but these are great authors and the book satisfied exactly what I was expecting from it. Great review! I’ve had this book on my list for so long but just haven’t read it yet. I’m really curious to read more about these unrealistic circumstances now. I’ve been looking for a light read though this month so I think I might finally pick it up. Thanks for the lovely review Sara! I was really curious about the book having seen it at the bookstore and not having heard anything about it. Your review makes it sounds really cute, I’ll have to pick it up. I’m not a big “holiday” reader. I honestly can’t even think of ONE book that was one. Weird. I agree, this was a fun read, but Dash and Lily’s Book of Dares is still my favorite holiday read! 🙂 Glad you had fun with these stories, excellent review!